Beauty bosses and best friends, Nikki Lee and Riawna Capri launch In Common Beauty in partnership with Luxury Brand Partners. As co-owners of West Hollywood's Nine Zero One salon, Nikki Lee and Riawna Capri are known for their positive salon culture, synchronicity and pulse on the latest trends. With all that in mind, who better to launch a product line echoing those ethos?! Lee and Capri are answering that question with their new line, In Common Beauty. Working in partnership with Luxury Brand Partners (LBP), In Common celebrates every stylist and every consumer for their wonderful individual qualities, and aims to create a community consisting of their uniqueness. 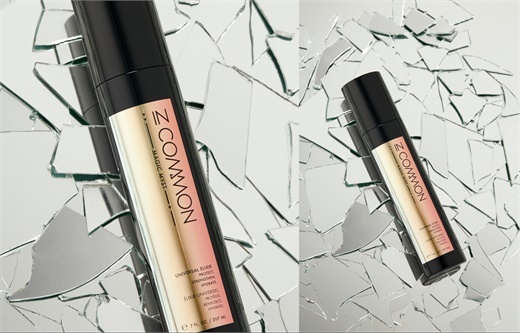 In Common's core focus is to support the ever-evolving salon professional. Whether working in a commission salon or salon suite, every stylist will have the opportunity to provide their clients with the same quality products and experience through the brand. Magic Myst is the debut product from In Common Beauty. In Common's debut product will be Magic Myst, launching mid-November. Magic Myst is a detangler, heat protectant, and daily dose of vitamins all in one. Formulated to enhance and strengthen hair, Magic Myst surrounds each hair strand with a flexible shield, reinforcing and sealing the cuticle to repair damage while detangling and protecting against daily heat styling. To celebrate In Common Beauty, the brand is giving away 50 Magic Mysts. Simply sign up for its email list here for your chance to win.